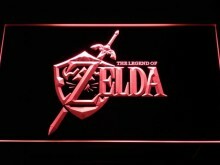 Recently a pair of professional neon signs commemorating the Legend of Zelda series have appeared on AliExpress. The first one bears a red version of the Ocarina of Time logo complete with Hylian Shield and Master Sword. 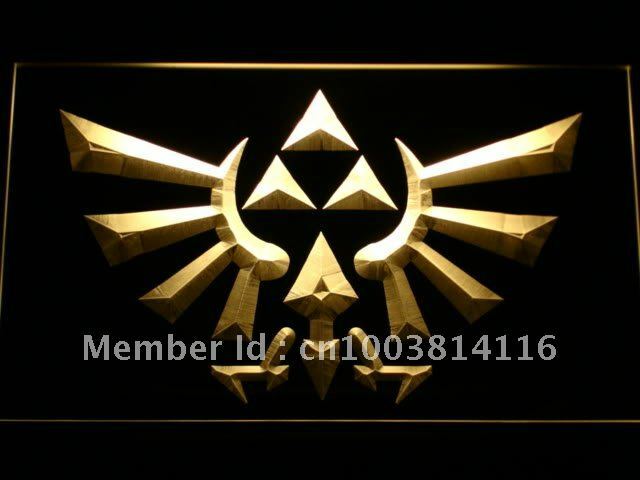 The second has a large gold colored Hylian crest. They are both made of sturdy acrylic material and are twelve inches wide by nine inches tall. The signs are specifically carved to have a 3D look and can be purchased for only $24.99. Jump inside to see it for yourself. You can grab your very own here and here. These are really good, and they look exactly like I would expect a store quality sign to appear. I think I like the Hylian crest one a little more. When it comes to things like this I normally like the subtle fan image over the straight series logo. So what do you think? Do you like the signs? Are you going to buy one? Let us know in the comments below.